Who loves cheese? 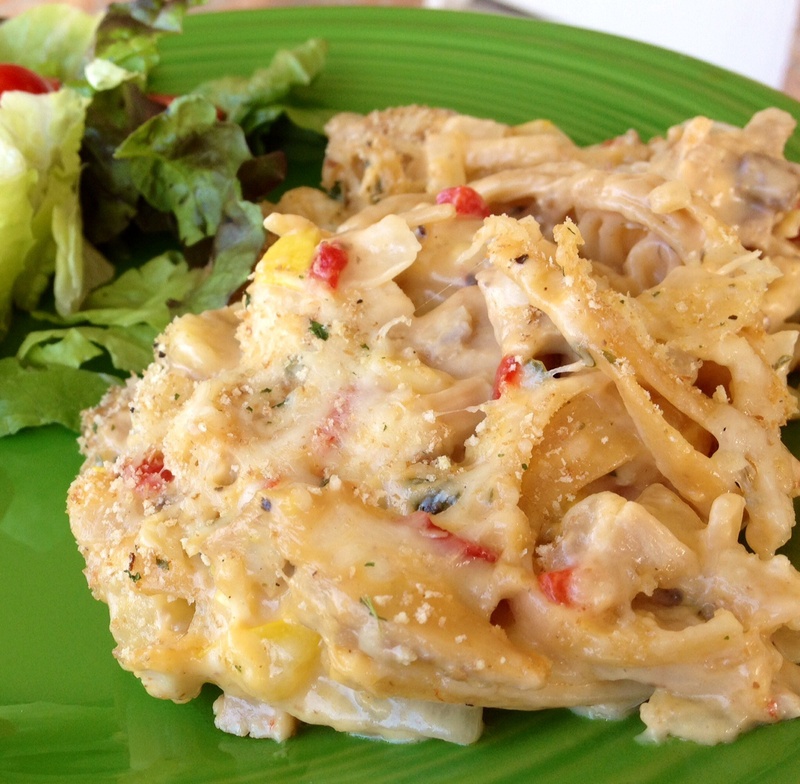 Well then this chicken spaghetti recipe is for you! 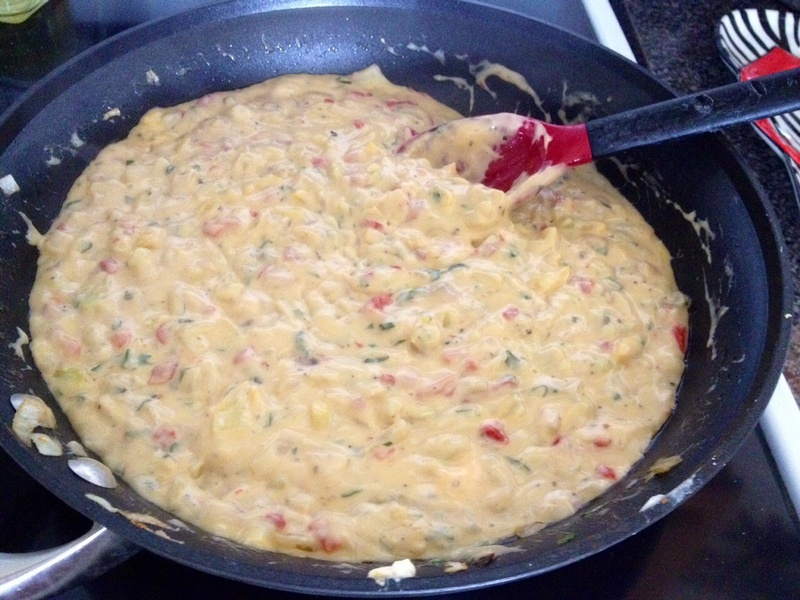 It has an ooey gooey cheesy sauce that is absolutely delicious! Also, this is a great recipe to chop up veggies into tiny pieces and hide them in the sauce so your kids eat them. I’ve got lots of squash and parsley in my garden right now and my son had no idea either were in this dish. I think you could easily substitute zucchini, peas, chopped asparagus, finely chopped broccoli, finely chopped spinach, or any combination of those veggies into this dish easily! 1. First we’re going to season the water you’ll be using to cook the chicken (and later the noodles). 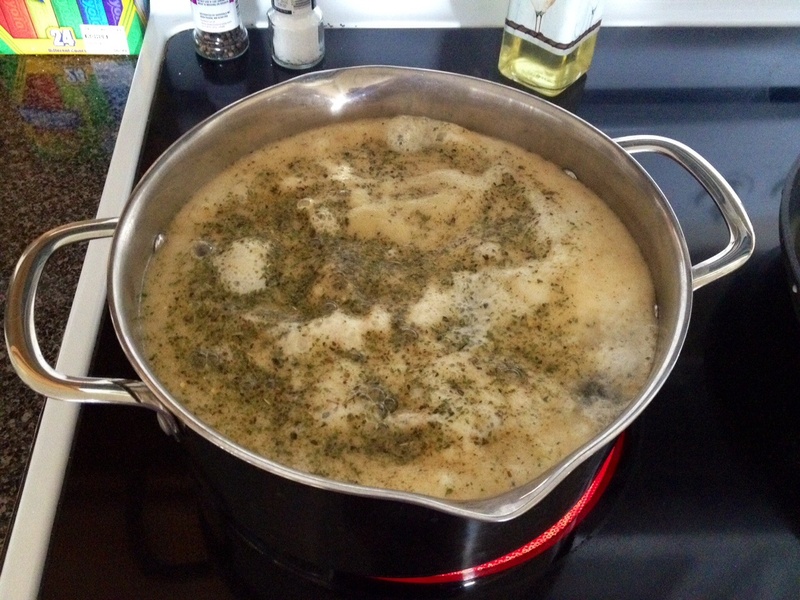 Bring a pot of water with chicken bouillon and garlic herb seasoning to a boil and add chicken to pot. This will need to boil about 20-25 minutes. 2. 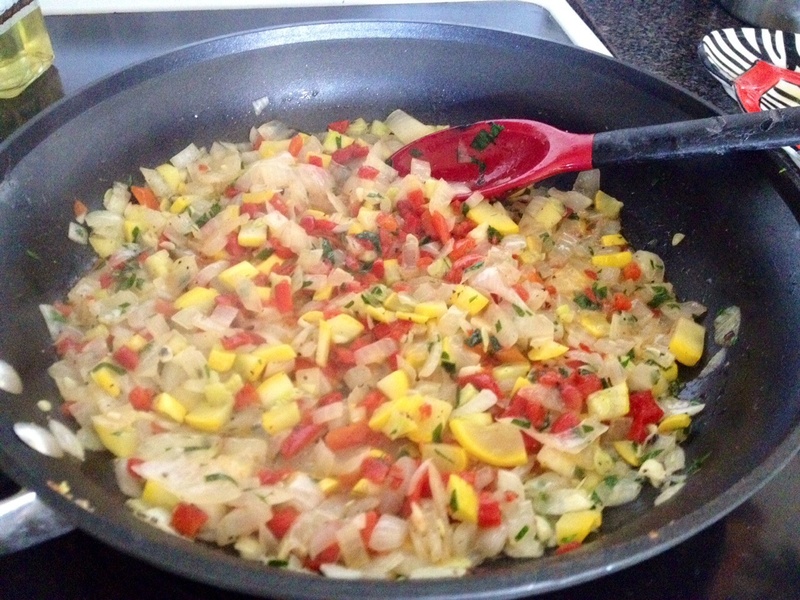 Add chopped onion, chopped veggies of your choice, butter, salt, and pepper to a sauté pan. Cook until veggies become tender and add chopped garlic and roasted red peppers and cook a few more minutes on medium high heat. 3. 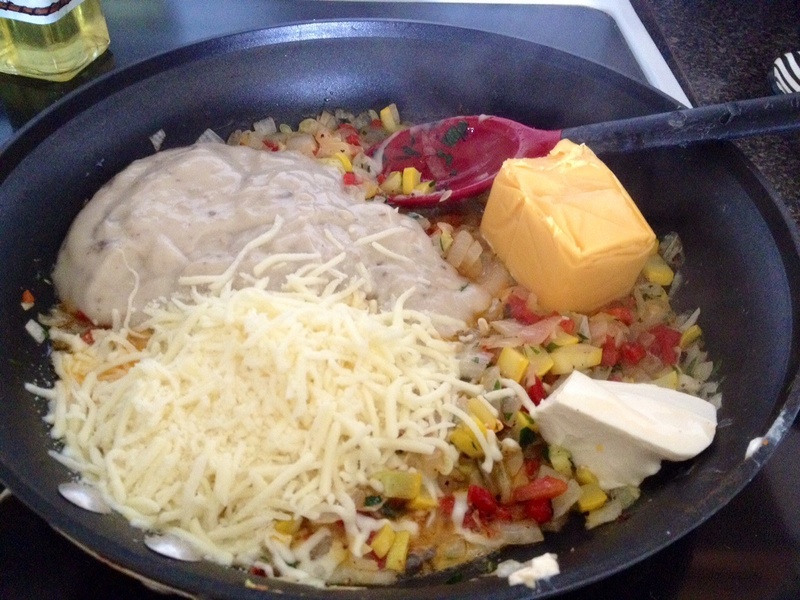 Turn heat down to medium low and add cream of mushroom, cream cheese, mozzarella, and Velveeta. Stir and allow mixture to melt and come together. 4. 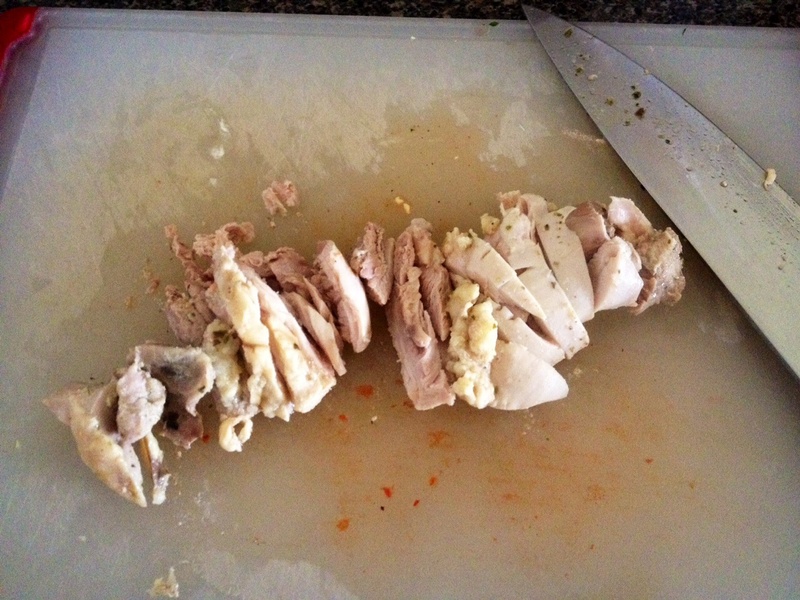 Pull your chicken out of the boiling seasoned water and cut into bite size pieces. 5. 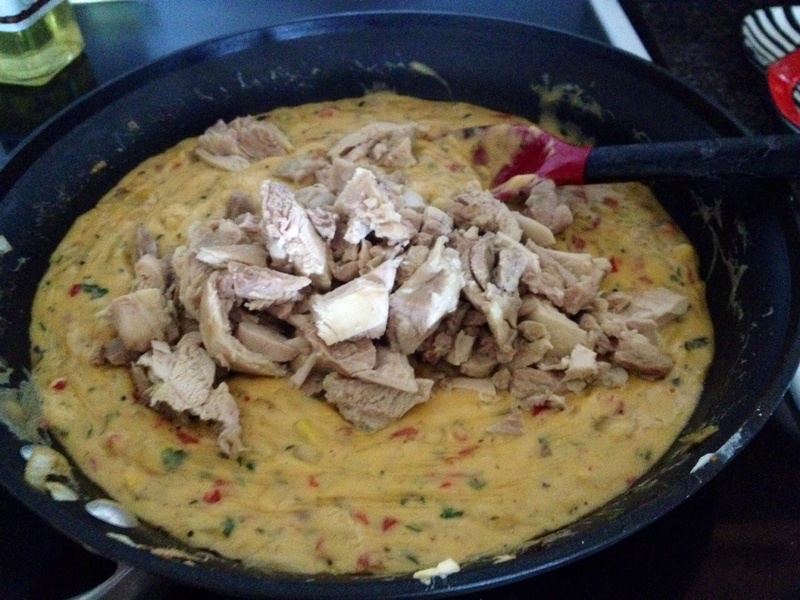 Add chicken to sauce mixture. 6. 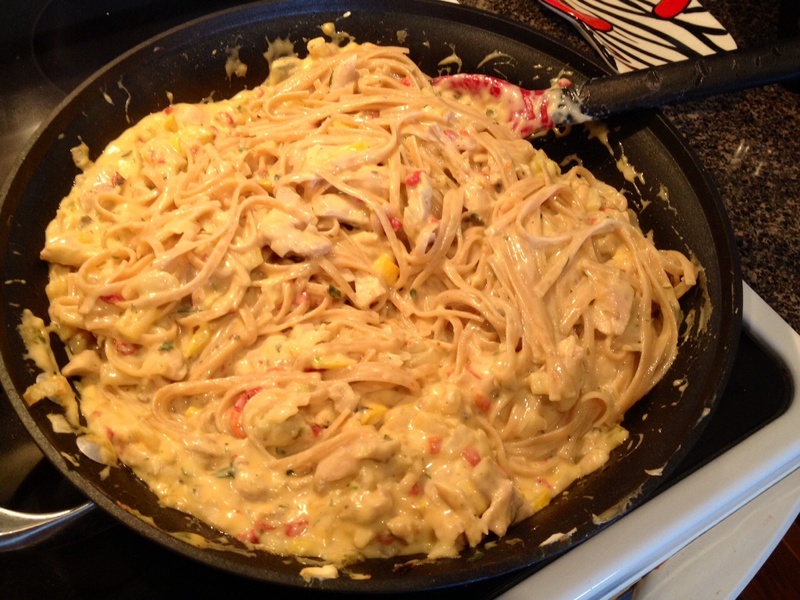 Add linguini to the boiling seasoned water and cook using directions on the box. 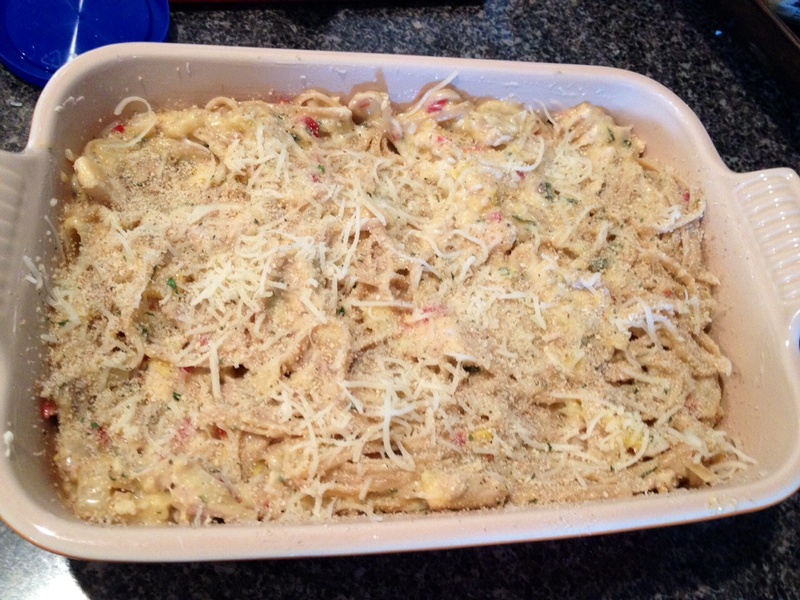 Once it’s done, add the drained pasta to the chicken and cheese mix. 7. 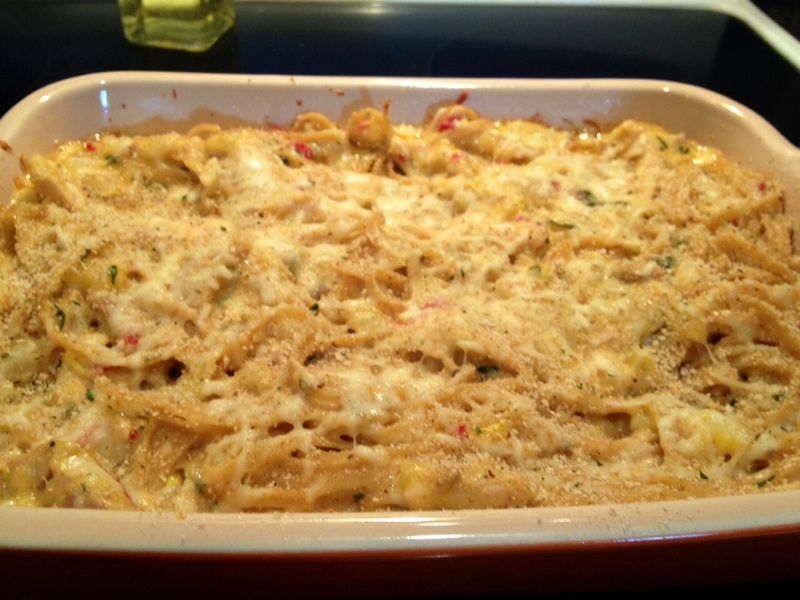 Pour this into a buttered 9×11 baking dish and top with more cheese and sprinkle top with Italian breadcrumbs. 8. Bake in a 375 degree oven for 20 minutes or until top is golden brown. Got it all ready to put in oven for dinner! Can’t wait !! The spagetti was so good , that’s a real keeper! !